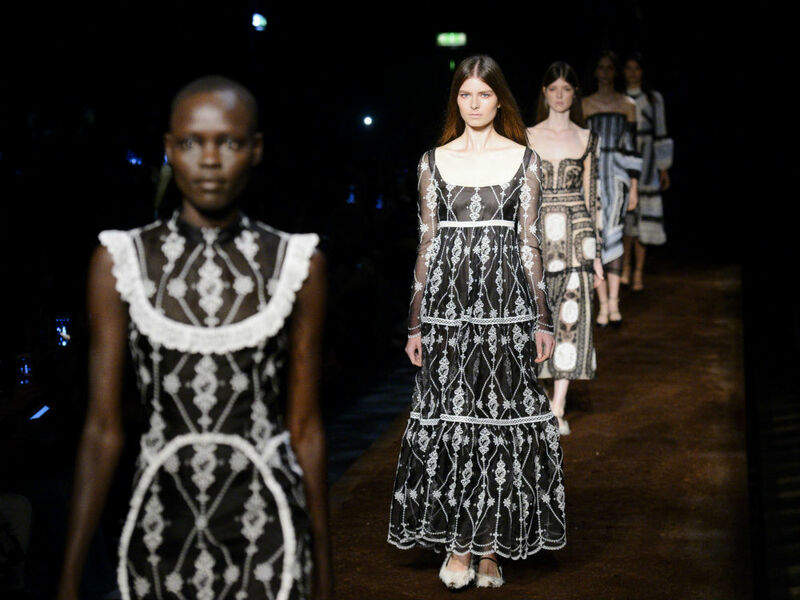 Erdem had the fash-pack hightailing from Soho to King’s Cross, staging his show in the impressive King’s Cross Theatre. The venue usually plays host to a production of The Railway Children, so the platforms became his catwalk (covered in mud, naturally) and the railway was turned into a moody canal, complete with an eerie dry ice mist. As if that wasn’t enough, a gaggle of models then came down said brook on a raft, before marching backstage to fall into their lines. Now that’s what we call a theatrical fashion show. As the creator of LFW’s floweriest collections, we expected nothing less than a picture perfect show. With a never-ending parade of sumptuous chiffons and a mid-western prairie patterns the collection was edged up with skinny black neck ties and sheer panel inserts. 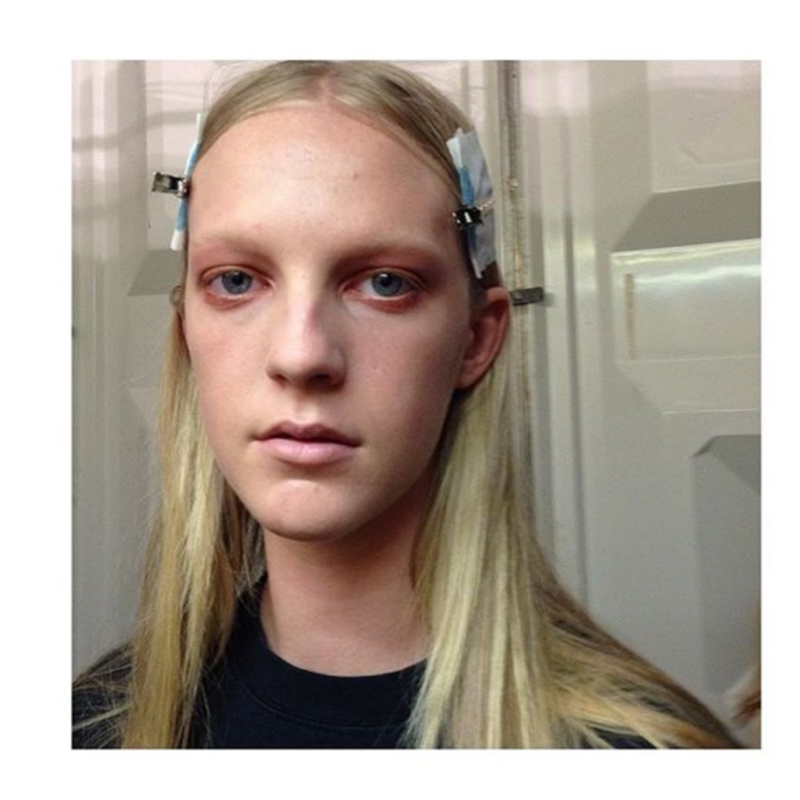 Models shunned the salad backstage, instead chomping on haute sausage rolls (the food trend of the season ahead?). Someone get us to Greggs, Asap! Usually one to steer away from dramatic makeup, this season was no different with the team instead opting for the ‘haunted prairie’ look (their words, not ours) using tea-stained eyes. Whack out the PG Tips and you’re ready a la Erdem. 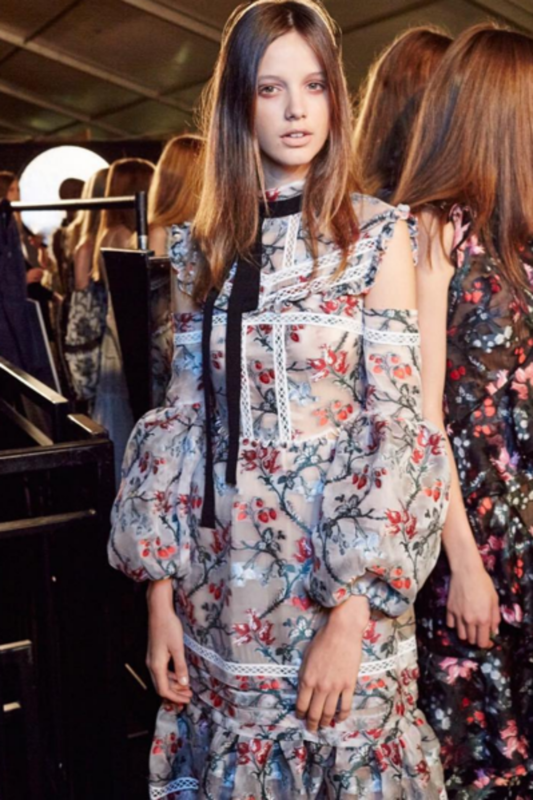 BIG things are happening for Erdem this season. Not only is it the label’s 10th birthday, but the man of the moment has just opened a new storeas well. The Erdem store itself is practically our dream home and we’d move in now if he’d let us.